I will ask the Father and He will send you another Counselor to be with you forever. This past summer in a ladies Bible study I was moved that several ladies were reluctant to allow the Holy Spirit full-control in their lives. They acknowledged they did not know very much about Him. It got me to thinking. What do I know about the Holy Spirit? When does the Bible first mention the Holy Spirit? Genesis 1:2 says, and the Spirit of God was hovering over the waters. 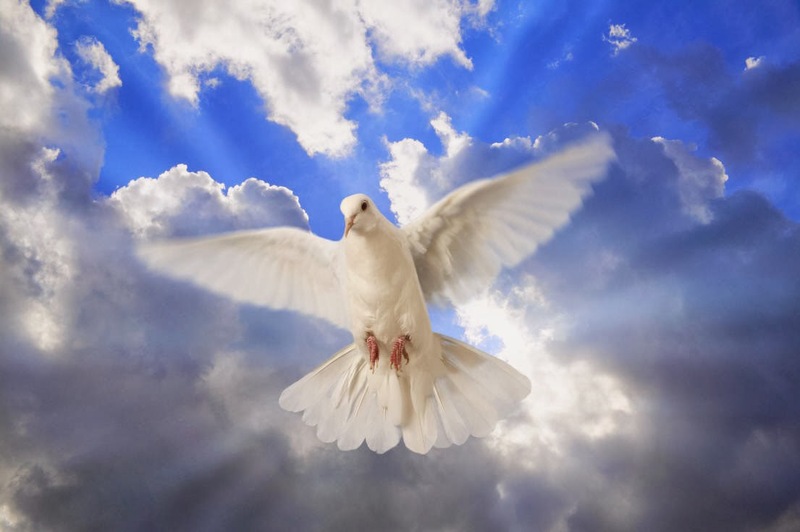 Is the Holy Spirit a dove, wind, flaming tongue of fire, or ghost? These are some of the metaphors that have been used for the Holy Spirit. But, the Holy Spirit is an invisible Person. He has intelligence, shows emotions, and has a will. He is the third member of the Holy Trinity. God the Father, the Son, and the Holy Spirit. He is Divine and Holy. Where is He? He proceeds from the Father, He proceeds from the Son, He proceeds from heaven. He indwells the hearts of those who have accepted Jesus Christ as their Savior. Is the Holy Spirit good, kind, and truthful? Yes. He is all of these things and more. Titus 3:4-5 tells us, But, when the kindness and love of God our Savior appeared He saved us, not because of righteous things we had done, but because of His mercy. He saved us through the washing of rebirth and renewal by the Holy Spirit. Ephesians 5:8-9 reminds us, For you were once darkness, but, now you are light in the Lord. Live as children of light (for the fruit of the light consists in all goodness, righteousness, and truth). In John 14:17 Jesus called the Holy Spirit the Spirit of Truth. What does He do in my life and in the Church? Do I need Him to be active in my life to be a Christian? Tomorrow’s devotional will begin to answer some of these questions.